Marcos García Suero was born in Noreña (Asturias). He graduated in Chemistry from the Universidad de Oviedo in 2003 and during 2002-2003 he worked in the laboratory of Profs. José Gimeno and Pilar Gamasa on the novel cumulenylidene ruthenium complexes with nonlinear optic properties under the collaboration fellowship programme. In February 2009, he obtained his PhD degree at the Institute of Organometallic Chemistry Enrique Moles and Department of Organic and Inorganic Chemistry (Universidad de Oviedo), where he worked under the direction of Prof. José Barluenga and Prof. Josefa Flórez on Fischer carbene chemistry. During the summer of 2005 he joined the laboratory of Prof. Andrew Myers at Harvard University working on the synthesis of novel tetracycline antibiotics as a PhD visiting student. In May 2010, he moved to the University of Cambridge to work with Professor Matthew Gaunt on copper catalysis and methionine bioconjugation as a Postdoctoral Marie Curie Fellow. In October 2014, he started his independent academic career at the Institute of Chemical Research of Catalonia (ICIQ) within the CELLEX-ICIQ starting career programme. 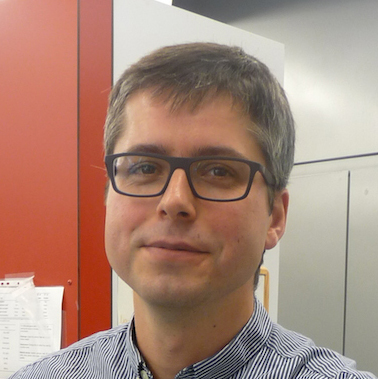 During his time at ICIQ, he has received the 2018 RSEQ Young Investigator Award, the 2019 Thieme Chemistry Journal Award and pioneered the generation of radical carbenoids and carbyne equivalents.